A proposed deal between Torquay United and Gaming International has been called off after the two sides failed to agree a deal to purchase the freehold of Torquay's current ground Plainmoor. 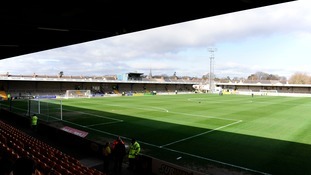 Gaming International which made a bid for the club in March wanted to build a new stadium on the outskirts of the down and redevelop Plainmoor. I can today announce that Gaming International (GI) and Torquay United are no longer working towards a purchase/sale of the club. We encountered a major stumbling block over GI’s instance on the purchase of the freehold of Plainmoor which was not a part of the Memorandum of Understanding we had with them. Torquay miraculously avoided relegation from the National League last season and had hoped to breathe new life into the club with a takeover bid. However, failure to agree terms means Torquay will now look for alternative investors to come forward. Gaming International had period of exclusivity which ran out on July 31st. As a consequence we are now actively talking to and inviting interest in TUFC from parties who share our vision and passion for this great club. I would urge all fans to support the club as strongly as possible whilst we continue our quest to establish a sustainable and successful football club in Torbay. Manager Kevin Nicholson will hope off the field matters can be resolved quickly in order to further strengthen his side which at one point last season were 10 points from safety. Torquay travel to Macclesfield on the opening day of the season - August 6th.